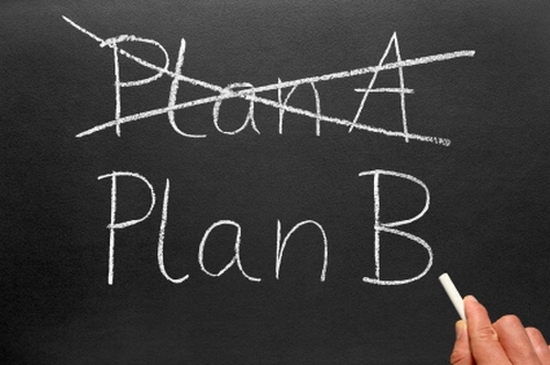 As further evidence of a high-level conspiracy to assassinate President John Fitzgerald Kennedy, it has long since come to light that there was a Plan A and a Plan B, as is standard operating practice for any well-planned covert operation. What was unusual is that the two plans were nearly identical, though 925 miles and 20 days apart. November 1, 1963: In Chicago, the Secret Service detains and questions two members of a four-man sniper team suspected of planning to assassinate President Kennedy during his visit to Chicago the following day. The other two snipers escape. Thomas Arthur Vallee, a mentally damaged ex-Marine in a building over Kennedy’s motorcade route, is monitored by the Chicago police. November 2, 1963: South Vietnam President Diem is assassinated by an Army coup and White House press secretary Pierre Salinger announces President Kennedy’s trip to Chicago has been cancelled. While the two suspected snipers are questioned at Chicago Secret Service headquarters, potential assassin scapegoat Thomas Arthur Vallee is arrested. The other two alleged snipers remain at large in Chicago. Only Vallee is ever identified publicly. Jack Ruby, born Jacob Rubenstein in Chicago in 1911, had been a runner for Al Capone in Chicago in the late 1920s. Ruby’s mob-related activities continued when he moved down to Dallas in 1947. The Chicago mob had attempted to bribe the Dallas Sheriff and take over gambling, prostitution and other vices in Dallas. Ruby was to run these criminal activities and serve as liaison to the Chicago underworld, while also working closely with the FBI and the Dallas police. The Chicago-Dallas connection remains strong through the November 22, 1963 assassination of President Kennedy. 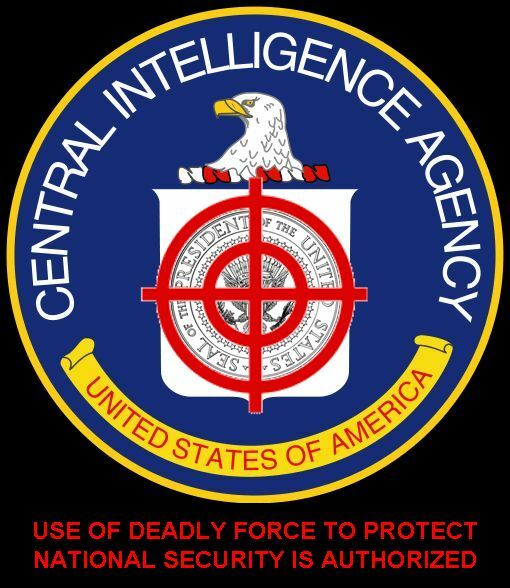 The Protection Research Service, the intelligence arm of the Secret Service, had received more than 400 possible threats from March through November 1963. The House Select Committee on Assassinations (HSCA 1976-78) later determined that three of these were significant. The first was a postcard warning that the President would be assassinated while riding in a motorcade, which resulted in additional protection when the President went to Chicago in March 1963. The second credible threat may have resulted in the cancellation of the President’s scheduled trip to Chicago for an Army-Air Force game. On October 30, 1963, the Secret Service learned that Chicago resident Thomas Arthur Vallee, an outspoken critic of Kennedy, was in possession of several weapons and had requested time off from work on November 2, the date of the President’s planned visit. When arrested by Chicago police, Vallee had an M-1 rifle, a handgun, and 3,000 rounds of ammunition in his automobile. The Secret Service learned that Vallee was a Marine Corps veteran with a mental health history and a member of the John Birch Society. None of this information was passed on to the President’s Dallas protection group, even though a Secret Service report after the assassination noted the similarity in the backgrounds of Vallee and Oswald, suggesting that Vallee might have been the Chicago patsy. 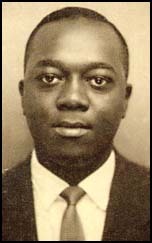 In fact, Abraham Bolden, the first black to serve on the Secret Service White House detail (and the one personally invited by President Kennedy), who was assigned to the Chicago office in 1963, alleged that shortly before November 2, the FBI notified the Secret Service that it had received a teletype message stating that an attempt would be made on the President’s life by a four-man team using high-powered rifles. At least one member of the team had a Spanish-sounding name. There is no evidence of the HSCA ever questioning the FBI about such a message. After the assassination, a report from the Agent in Charge of the Chicago Secret Service office detailed reliable information about “a group in the Chicago area who may have a connection with the JFK assassination”. 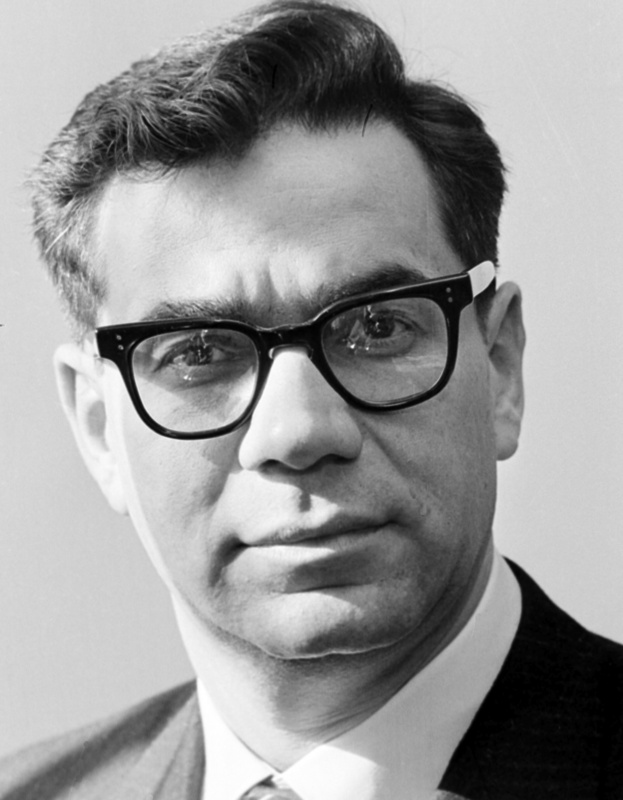 A member of the group, Homer S. Eschevarria, an outspoken critic of Kennedy, reportedly stated that his group now had, “plenty of money” and would soon be buying more military arms ‘as soon as we (or they) take care of Kennedy”. The financial backers were reported to consist of “hoodlum elements” who were not restricted to Chicago. The FBI indicated that Eschevarria and his group were affiliated with some of the more militant anti-Castro terrorists. Attempts by the Secret Service to continue the investigation into this group were blocked when LBJ appointed the Warren Commission and ordered the FBI to assume full investigative responsibility, thereby locking out both the Secret Service and the Dallas police department. Abraham Bolden’s information was also buried. On Wednesday, October 30, 1963, the agents at the Chicago Secret Service office were told of the Chicago plot by Special Agent in Charge Maurice Martineau. Abraham Bolden was one of the agents present. Bolden had left the White House detail voluntarily two years before in protest against the poor security being given to the President. Special Agent in Charge Martineau’s announcement to his Chicago Secret Service Agents about a plot against Kennedy came in the context of their preparations for the President’s arrival at O’Hare Airport three days later on Saturday, November 2 at 11:30 AM. On that Saturday afternoon, JFK was scheduled to attend the Army-Air Force football game at Soldier Field. At 9:00 AM Wednesday morning, Martineau told the agents the FBI had learned from an informant that four snipers planned to shoot Kennedy with high-powered rifles. Their ambush was set to happen along the route of the Presidential motorcade, as it came in from O’Hare down the Northwest Expressway and into the Loop on Saturday morning. The FBI had said “the suspects were rightwing para-military fanatics”. The assassination “would probably be attempted at one of the Northwest Expressway overpasses”. They knew this from an informant named “Lee”. The following day, the landlady at a boarding house on the North Side independently provided further information. Four men were renting rooms from her. She had seen four rifles with telescopic sights in one of the men’s rooms, together with a newspaper sketch of the President’s route. She phoned the FBI. The FBI told Martineau everything was now up to the Secret Service. James Rowley, head of the Secret Service in Washington, confirmed to Martineau that J. Edgar Hoover had passed the buck. It was the Secret Service’s jurisdiction and the FBI would do nothing to investigate or stop the plot against Kennedy. Martineau set up a 24-hour surveillance of the men’s boarding house. He passed out to his agents four photos of the men allegedly involved in the plot. The stakeout reached a quick climax on Thursday night, October 31, when Secret Service agent J. Lloyd Stocks spotted two of the suspects driving. Stocks followed them in his car into what turned out to be a blind alley. The men had turned their car around and managed to squeeze past Stocks’ car just as his radio blared out a message from Martineau. Stocks reported back to Martineau that he’d blown his cover, and Martineau ordered that the two men be taken into custody. The two men were seized and brought to Secret Service headquarters early Friday morning. Stocks questioned one of the men into the early morning hours while fellow agent Robert Motto questioned the other. The two suspects, who have remained anonymous to this day, stonewalled the questions. In the meantime, their two reported collaborators remained at large, with President Kennedy due to arrive the next morning. If President Kennedy had been assassinated in Chicago on November 2, 1963, rather than Dallas on November 22, the name Lee Harvey Oswald would likely be unknown to the American people. Instead, Thomas Arthur Vallee would have become notorious as the President’s presumed assassin. For in the Chicago plot to kill Kennedy, Vallee was chosen for the same scapegoat role that Oswald would play three weeks later in Dallas. While most of the Chicago Secret Service agents were scrambling to locate and arrest all four members of the sniper team, two agents were acting on another threat. The Secret Service office had also received a tip about Thomas Arthur Vallee, an alienated ex-Marine who was a “disaffiliated member of the John Birch Society”, a far right organization obsessed with Communist subversion in the US. Vallee was described as a loner, a paranoid schizophrenic, and a gun collector. 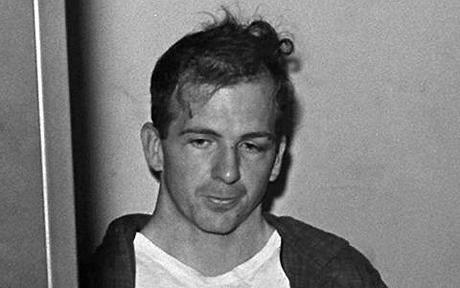 He perfectly fit the “lone nut” profile that would later be used to characterize ex-Marine Lee Harvey Oswald. The two Secret Service agents surveilling Vallee broke into his rented North Side room in his absence, and found an M-1 rifle, a carbine rifle, and 2500 rounds of ammunition. On Friday, November 1, the agents phoned Chicago Police Department captain Robert Linsky, requesting 24-hour surveillance on Vallee and reportedly asking that he be “gotten off the street”. Two experienced Chicago police officers, Daniel Groth and Peter Schurla, were assigned the task. After watching Vallee for hours, Groth and Schurla arrested him on Saturday, November 2, at 9:10 AM, two and a half hours before JFK was due in at O’Hare Airport. They stopped Vallee’s car at the corner of West Wilson and North Damen Avenues, as Valley was turning south towards the President’s motorcade route. The pretense for the arrest was an improper turn signal. When the police officers found a hunting knife lying on Vallee’s front seat, they also charged him with carrying a concealed weapon. More significantly, in Vallee’s trunk they found 300 rounds of ammunition. Groth and Schurla first took Vallee to Secret Service headquarters, where he was questioned by Special Agent in Charge Maurice Martineau behind closed doors in his office. The police officers then took Vallee to a Chicago jail. They had succeeded in “getting him off the street” before JFK’s visit to Chicago. 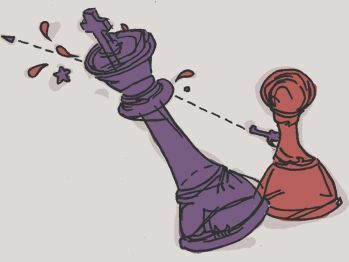 But, as they may have already known from intelligence sources, Vallee was no isolated threat but a pawn being moved in a much larger game. A first clue to Thomas Arthur Vallee’s connections with intelligence agencies was the New York license plate on the 1962 Ford Falcon he was driving: 31-10RF. A few days after President Kennedy’s assassination, NBC News in Chicago learned about Vallee’s arrest on the same day the President had been scheduled to come to Chicago. Luke Christopher Hester, an NBC Chicago employee, asked his father-in-law, Hugh Larkin, a retired New York City police officer, to check on Vallee’s license plate. Larkin asked his old friends in the New York Police Department if they would run a background check on it. They came back to Larkin saying the license plate information was “frozen”, and that “only the FBI could obtain the information”. The registration on Vallee’s car was classified – restricted to US intelligence agencies. The two Chicago police officers who arrested Vallee, Daniel Groth and Peter Schurla, were themselves destined for prominent roles in police intelligence activities. In 1975, when a reporter tried unsuccessfully to interview Peter Schurla about Vallee’s arrest, Schurla was a high-level intelligence official at Chicago police headquarters. His companion, Daniel Groth’s career in intelligence had by then become more public and more notorious. 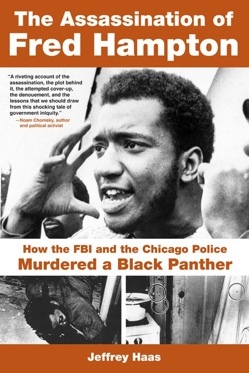 At 4:30 AM on December 4, 1969, six years after the arrest of Thomas Arthur Vallee, Sergeant Daniel Groth commanded the police team that broke into the Chicago apartment of Black Panther leaders Fred Hampton and Mark Clark. The heavily armed officers shot both men to death. In 1983, the Black Panther survivors and the families of Hampton and Clark were awarded $1.85 million in a lawsuit against federal, state and Chicago officials and officers, including Daniel Groth. Groth acknowleged under oath that his team had carried out the assault on the Panthers at the specific request of the FBI. Northeastern Illinois University professor Dan Stern discovered in his research that Daniel Groth had taken several lengthy “training leaves” from the Chicago Police Department to Washington DC where Stern believes Groth “underwent specialized counterintelligence training under the auspices of both the FBI and the CIA”. According to Stern, Groth was employed from the beginning by the Chicago Police Department in a counterintelligence capacity, with an early focus on the Fair Play for Cuba Committee that Oswald was ostensibly involved with in New Orleans. Stern believes that Groth was working undercover for the CIA. When a journalist confronted Groth and asked him point-blank, “Are you CIA?”, Groth just shrugged it off. In a 2004 interview with Vallee’s sister, Mary Vallee-Portillo, a nurse in Chicago, sixteen years after Vallee’s death, she said “My brother probably was set up. He was very much used.” Mary said that, growing up in Chicago, “Tommy” always wanted to be a Marine. At age fifteen, he ran away from home, lied about his age, enlisted in the Marine Corp, and was wounded in the Korean War when a mortar shell exploded near him. He suffered a concussion that would affect him the rest of his life. An FBI teletype on Vallee the week after Kennedy’s assassination stated that the schizophrenic ex-Marine had a prior history of mental commitment, “allegedly had a metal plate in his scalp”, and “received complete disability from the Veterans Administration”. After Vallee was discharged from the Marines at age nineteen in November 1952, he used his money to buy a new car. A few days later, he got drunk in a neighborhood bar and demolished his car in an accident. He suffered another terrible head injury and was in a coma for a couple of months. He had to go through a complete rehabilitation program, learning all over again how to walk, talk and hold a knife and fork. Soon after he returned home, his father, who had been at his hospital bedside during the coma, died of a heart attack and Valley was blamed by his uncle and felt guilty himself. His sister said he “was never the same again”. In spite of his health, Vallee enlisted for a second stint in the Marines in February 1955. His Marine Corps medical record noted his “extremely abnormal nervousness and periods of excitement in which he cannot talk to anyone. He is also said to be very hyper-active and does not get along well in the barracks…” After giving Vallee an extensive psychiatric evaluation, the Marines honorably discharged him in September 1956 for a physical disability diagnosed as “Schizophrenic Reaction, Paranoid Type #3003, Moderate, Chronic”. His military records show that a Naval Speed Letter to the Navy’s Bureau of Medicine and Surgery on August 6, 1956, requested a bed for him in a Veterans Administration Hospital near Chicago for an indefinite length of time. Thomas Vallee had been led along a trail that Lee Oswald would follow after him. Vallee told an investigative reporter that he had been assigned by the Marines to a U-2 base in Japan, where Vallee would have come under the control of the CIA, which commanded the U-2 program, just as Oswald would come under the CIA’s control as a radar operator at another U-2 base in Japan. Vallee also told the reporter that he had worked with the CIA at a camp near Levittown, Long Island, helping to train Cuban exiles to assassinate Fidel Castro. Oswald participated in a CIA training camp with Cuban exiles by Lake Pontchartrain, near New Orleans. Vallee’s close CIA connections, like Oswald’s, also helps explain how he, too, came to be employed at a site over a presidential parade route. Thomas Arthur Vallee and Lee Harvey Oswald, two men under the CIA’s thumb for years, were being set up, one after the other, as scapegoats in two prime sites for killing Kennedy. Just as Oswald got a job in a warehouse right over Kennedy’s future motorcade route in Dallas, Vallee got a job in a warehouse right over Kennedy’s future motorcade route in Chicago. At Vallee’s work building at 625 West Jackson Boulevard, one can look down at the spot where JFK’s presidential limousine had been scheduled to make a slow turn up from the Northwest Expressway (ironically renamed the Kennedy Expressway). This was analogous to the slow curve the limousine would make in Dallas in front of the Texas School Book Depository three weeks later. In fact, Vallee’s view of the motorcade route, on the third floor, was better than Oswald’s alleged one on the sixth floor. Vallee had two people to thank for his not becoming the scapegoat he was intended to be. Lieutenant Berkeley Moyland, a member of the Chicago Police Department, confided in his son before his death his encounter with Vallee in 1963, but concluded “You probably can’t repeat it, but you ought to know it”. The US Treasury Department, which oversees the Secret Service, had forbidden him to share the experience with anyone. In the fall of 1963, Lieutenant Moyland had the habit of eating at a cafeteria on Wilson Avenue in Chicago where he knew the manager. One day in late October, the manager alerted the plainclothes officer to a regular customer who had been making threatening remarks about President Kennedy, due to visit Chicago within the week. The manager pointed out the customer when he next came in, and Moyland took his tray over to Vallee’s table to engage him in conversation. Moyland sized up Vallee as a damaged, unbalanced personality who probably had weapons in his possession. He told the man that nothing good could come from the remarks he was making about the President, and that his behavior could lead to serious consequences. As described to Moyland’s son years later, Vallee listened soberly, especially when Moyland identified himself as a police officer. After leaving the cafeteria, Moyland phoned the Secret Service with a warning about Vallee, and was told they would take care of it. 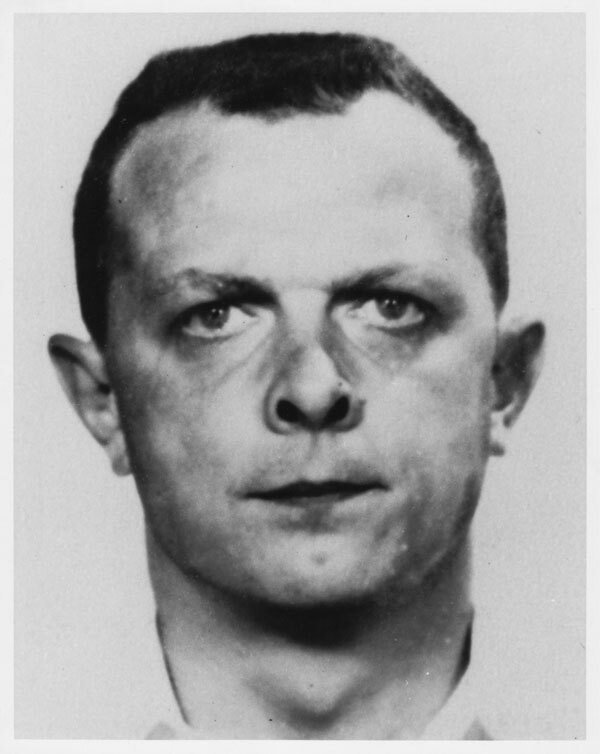 Because of Moyland’s tip, Vallee was investigated and arrested on the morning of JFK’s scheduled arrival. However, it was an FBI informant named “Lee” whose alert disrupted the more critical four-man sniper team that represented the real threat to Kennedy and thus to potential patsy Vallee as well. Officer Moyland was phoned back by an official in the Treasury Department who committed him to absolute silence on this matter, which Moyland almost took to his grave. Moyland was told “Don’t write anything about it. Don’t tell anybody about it. Just forget about it”. Lieutenant Moyland and Vallee met one more time at the cafeteria “just to shoot the bull”, Moyland said. Moyland said he received an unsigned greeting card in the mail some time later that said “Thank You”. Moyland was certain the card came from Vallee. At 9:35 AM on November 2, President Kennedy received word that the US-backed South Vietnam President Diem had been killed in a military coup that Kennedy’s own staff and Ambassador Lodge had maneuvered into place over Kennedy’s objections. At 10:15 AM, White House Press Secretary Pierre Salinger announced that President Kennedy’s trip to Chicago had been cancelled after the press plane had already taken off. The official reason was that the President had to remain in DC to deal with the coup in Vietnam, but the Secret Service had also warned the White House that three potential assassins were in custody and two snipers remained at large in Chicago. 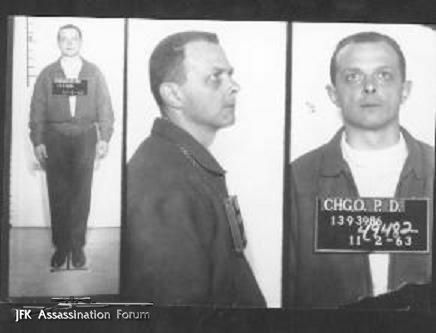 The two Chicago police officers, Groth and Schurla, had arrested Vallee at 9:10 AM Central Time (10:10 Eastern) just five minutes before the public announcement of the cancellation of Kennedy’s trip to Chicago, but certainly after it was known within intelligence agencies that the President would not be going on the planned trip. This raises the question of whether Vallee was allowed to remain free as long as the presidential trip was still expected, and arrested only after it was known that the trip was cancelled. On the following Monday and Tuesday, Maurice Martineau ordered his agents to prepare no written records of the Chicago assassination plot, give only oral reports and turn in their notebooks. The only written report was then assigned a Central Office Secret number, making it effectively disappear from any public scrutiny. Secret Service Agent Abraham Bolden watched apprehensively the compartmentalization of the super-secret Chicago report and added this to his previous concerns about poor Secret Service protection for the President. On November 17, Bolden was suddenly ordered to report to Washington DC where the IRS offered him an undercover position for an investigation of Congressional aides, which required that his old identity be entirely erased even to his birth certificate, and that he turn in his Secret Service credentials. He declined. When he returned to Chicago, he was filled with apprehension that Kennedy was going to be killed. His fears were proven true just five days later. When he raised the possible connection between the November 2 Chicago plot and the Dallas assassination to his fellow Secret Service agents in Chicago, to which most of them agreed, Martineau shut down the discussion and told his staff that Lee Harvey Oswald was a lone gunman, that there was no connection to Chicago, and that they should forget November 2nd. In January 1964, the Secret Service took the extraordinary step of ordering all its agents to turn in their identification booklets for replacement. Bolden suspected that this was because Secret Service credentials had been used in the Kennedy assassination, which proved later to be true. On May 17, 1964, Bolden arrived in Washington DC for a month-long training program at the Secret Service School. On the first afternoon in DC, Bolden tried to contact Warren Commission Chief Counsel J. Lee Ranking, but was overheard by a fellow Chicago agent who was apparently assigned to monitor Bolden. The next day, Bolden was ordered back to Chicago to take part in an investigation of a black counterfeiting ring, but was arrested by his fellow agents when he arrived, accused of trying to sell Secret Service files. After a first hung jury, in spite of the judge’s advice to the jurors that the evidence sustained a guilty verdict, a second trial resulted in a conviction on August 12, 1964, after testimony from an indicted counterfeiter who later admitted to perjury subsequent to the prosecutor telling him to lie. Never-the-less, a series of appeals failed to overturn the conviction, and Bolden was imprisoned at Springfield Federal Penitentiary, where he was committed to a psychiatric ward and subjected to mind-altering drugs. He was told “You won’t know who you are any more when we get through with you”. 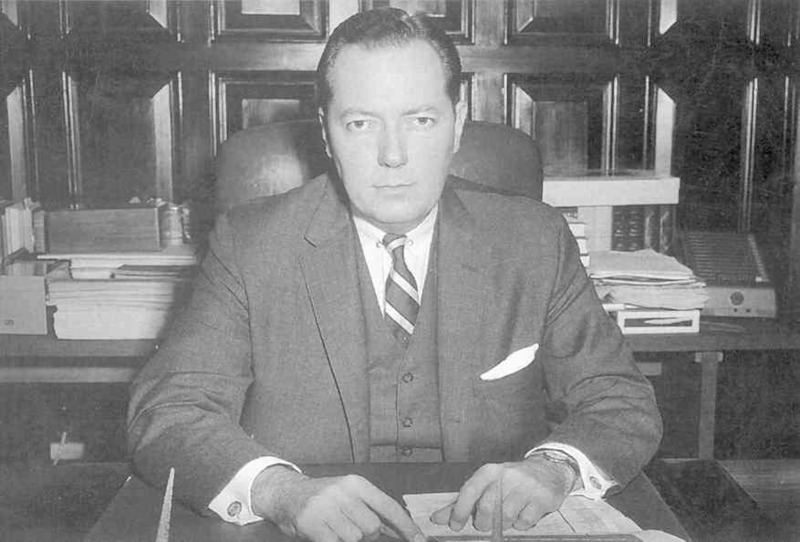 But interventions from his wife and later attorney and Warren Commission critic Mark Lane and an assistant to New Orleans prosecutor Jim Garrison, who conducted the only (but unsuccessful) prosecution of anyone for the JFK assassination plot, prevented the ill treatment. Because these supporters publicized Bolden’s claims, Bolden was placed in solitary confinement. Since his release in 1969, Bolden has continued to speak out about the twin assassination plots, in spite of the harassment suffered by his family during his incarceration, including an attempted house bombing, the burning down of their garage, a shot fired through a house window and a brick thrown through the window of his wife’s car. The plot that Bolden recognized since November 2, 1963, was stymied in Chicago by two whistle-blowers, Lieutenant Moyland and the anonymous “Lee”. But the burying of the November 2 Secret Service report, the silencing of Moyland, and the arrest and imprisonment of Bolden on false charges, made certain that the identical Dallas plan would succeed and be successfully covered up. On December 3, 1963, an article appeared in the Chicago American, “Cops Seize Gun-Toting Kennedy Foe”, with information attributed to unnamed Chicago detectives. A similar story appeared on the same day in the Chicago Daily News, based on information from unidentified federal agents. But none of the anonymous sources mentioned the detention of the two snipers who, along with their two comrades, vanished without a trace. Three decades later, in January 1995, the Secret Service deliberately destroyed its records of the Chicago plot when the Assassinations Records Review Board (ARRB) requested them. The ARRB was established by a 1992 act of Congress following public outrage after the release of Oliver Stone’s film JFK., which suggested a conspiracy within government institutions to murder President Kennedy. To this day, few Americans believe the official white wash story of the JFK assassination, but fewer still know just how the real conspiracy unfolded. Links from other sites DO NOT imply a reciprocal endorsement. While I’m always grateful for other bloggers to include links to this site, I have no control over who chooses to link here, so please don’t assume that any such link implies an endorsement by this author of those sites. Too many web sites which claim to be neutral purveyors of the TRUTH, are anything but. Some of these, while offering useful information, also taint it with either strong political bias or the kind of over-the-top “conspiracy theory” nonsense that seems almost purposely intended to discredit the authentic conspiracy expose movement. Even the article in which the link to this page was embedded, Lee Harvey Oswald: Unsung Hero, while offering a very insignificant (yet overly wordy) exposition on Oswald’s possible role (with almost no substantiation), ends up detouring into the quicksand which undermines any honest attempt to reveal historical truth. Most perniciously, the article claims that the Sandy Hook Elementary School massacre was a hoax. But even more absurdly, it states that the Roman Catholic Church was the “primary instigator” of the Vietnam War, repeats the myth that JFK’s Executive Order #11110 was intended to shutter the Federal Reserve Bank (it actually enhanced it), associates JFK with UFO aliens, and refers repeatedly to the “New World Order” and the “Illuminati” (which are invented codewords used by those who are too intellectually lazy to address history directly). The same author, Michael Thomas, has linked here from three other websites: Alex Jones’ PrisonPlanet (Truth will set you free); Cosmic Convergence: 2012 and Beyond (Where Cosmic Convergence Intersects Mayan Calendrics and the Kali Yuga); and Storyleak (Seek Truth In News). I do not endorse any of those sites. So, caveat emptor – reader beware.